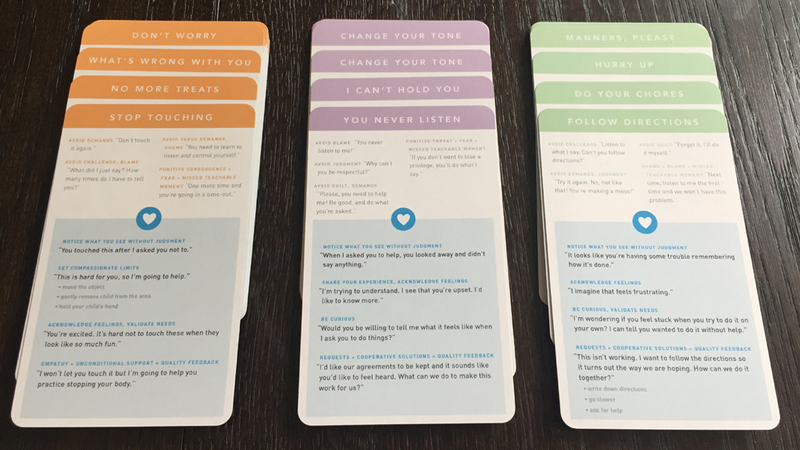 Conscious Communication Cards Kickstarter Hang on, you're just a hop, skip and a jump away. Cards available to pre-order on 7/18 through Kickstarter. 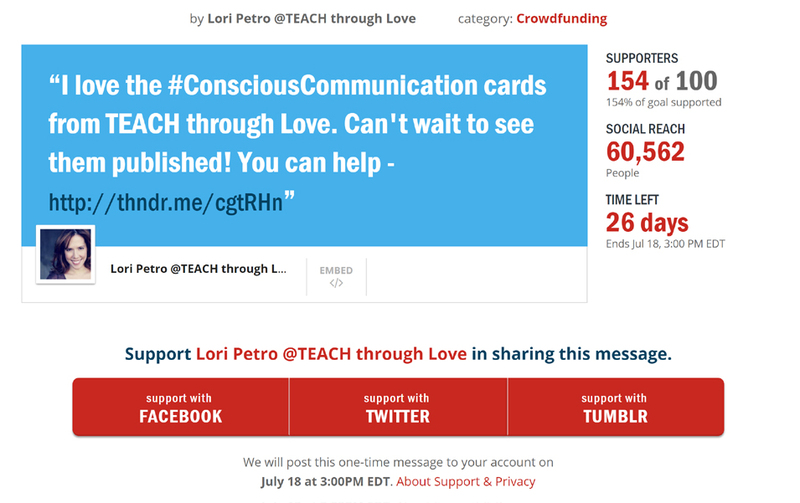 Hi, I'm Lori, the founder of TEACH through Love and the creator of the Conscious Communication Cards. Thank you so much for stopping by and supporting our campaign to publish the cards. The cards are not currently available for purchase. On 7/18, you can pledge to back our Kickstarter and if we're fully funded, you can be among the first to own a deck. I need your social media power to spread the word about our upcoming Kickstarter campaign to publish the cards. Share the campaign with your friends, family, and colleagues, and ask them to make their voice heard. It takes only a few seconds to add your voice to our Thunderclap. Thunderclap will do all the heavy lifting - automatically posting a synchronized message along with other supporters on July 18th, 2017 @3pm EDT. Are you a fellow parenting advocate or blogger? Check out the copy to share here or download our Social Media Supporter info packet. Want special access to classes? Join our social media team or sign up to get updates when the cards are available! 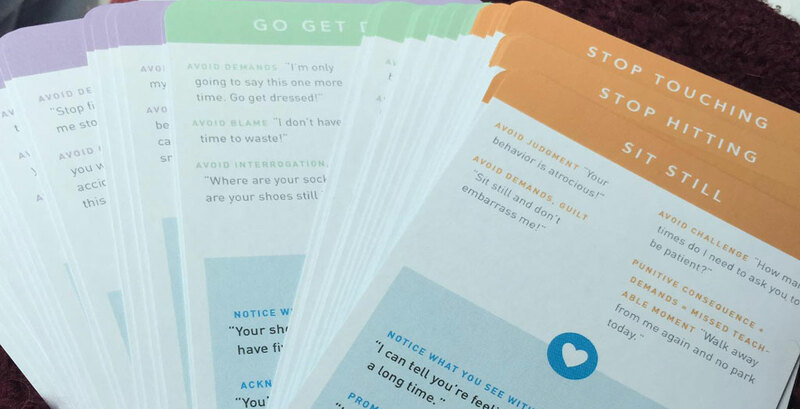 Every day, I hear from parents, teachers, counselors, and others who want to know how they can get MORE of these conscious conversation starters. 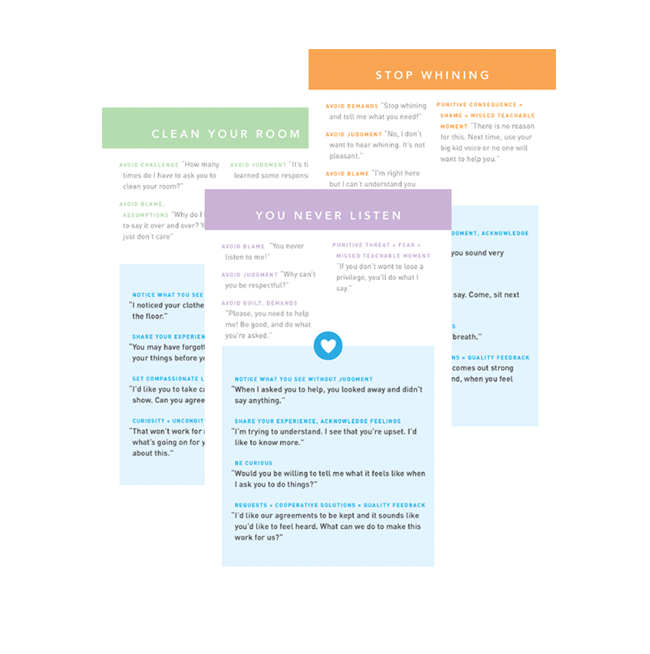 Since I started making them 3 years ago, they've helped hundreds of thousands of people who have viewed and shared them on social media make huge changes in how they speak to their children. NOW, I want you to be able to take them home. 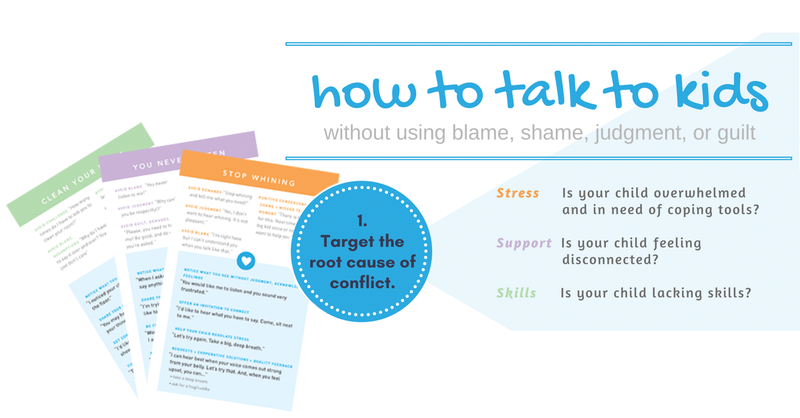 These communication cards not only help us curb unwanted behavior and influence our relationship for the better - they also provide a foundation of emotional intelligence that allows our children to flourish into thoughtful, caring, and, responsible adults. - which help us target the root cause of behavior and address what's really going on behind the behavior. This is discipline you can count on. I hope you'll consider being part of the movement to make our world a little bit kinder. Our Kickstarter will launch on 7/18/17! You can help us publish the first TEACH through Love Deck of Conscious Communication Cards. This Campaign is sponsored by Lori Petro, founder of TEACH through Love, and fueled by the generous support of positive parents, educators, and advocates from all around the world. Lori is a speaker, child advocate, and parent educator dedicated to helping you become the calm, confident parent you've always wanted to be - and the one your child deserves - through inspiration, education, and support. TEACH through Love (with over 50k Facebook followers) has a mission of supporting parents in creating cooperative, meaningful relationships with their children - and helping them build the skills they need to communicate in healthy ways. Click here to share join our Social Media "Flash Mob" on Thunderclap. Use the hashtag #consciouscommunication to help us spread the word. Thunderclap takes the power of social media to a new level. You can think of it as a social media "flash mob" posting a synchronized update announcing the launch of our kickstarter on 7/18 to the social media platforms of everyone who signs-up. All you have to do is click the red button in the link and Thunderclap will do the rest!